Former La Plata County commissioner Bob Lieb is developing Escalante Village at 224 Baker Lane, between Walmart and Escalante Middle School. The project will go before Durango City Council in September, and residents could start moving in this spring. 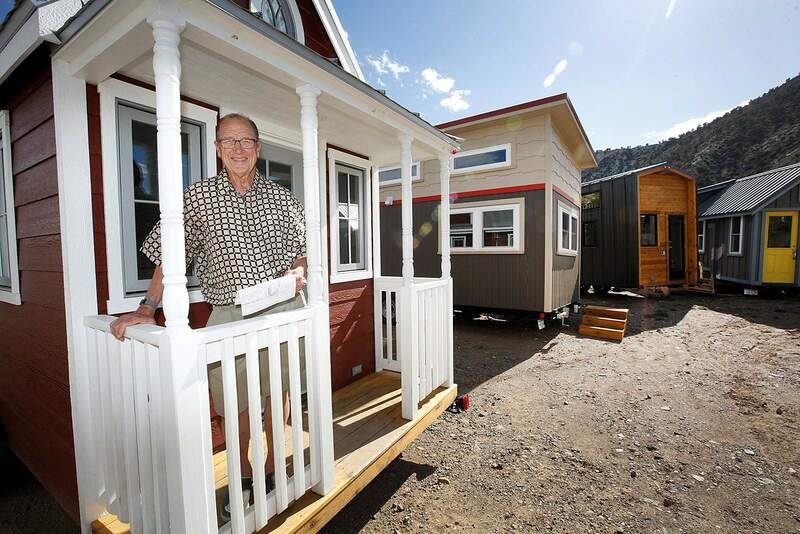 The developer of a proposed tiny home village across the street from Escalante Middle School expects to see strong demand from potential residents after it starts accepting reservation applications Wednesday. “I have a sense we have a lot more people interested in living there than the 22 spaces we have,” developer Bob Lieb told the Durango Planning Commission last week. Nearly 500 people have signed up to receive information about the project through the village’s website, he said. The affordability of the housing and its unique design are driving the interest, he said. “There is a general feel, I think, in this country people are trying to minimalize their lifestyles, and one of the ways they are doing that is smaller living quarters,” Lieb told The Durango Herald. The Planning Commission unanimously approved the village proposed at 224 Baker Lane along the Animas River. It will go before Durango City Council in mid-September. Residents could start moving in in the spring, Lieb said. The project was scaled back slightly during the city’s planning process from 24 homes to 22 homes to make room for more storage. “I think the planning commission did us a favor by suggesting we reduce the density and increase the storage,” Lieb said. He expects future residents will need the rental storage space the village will provide because they will not be allowed to store things outside. The village will rent out six homes and Lieb expects owners of the other 16 spaces will rent them out. The rent for the village’s tiny homes will range from $500 per month to $750. The lots in the village will provide utility hookups, and most will be 20 feet wide and 40 feet deep. Those who reserve a space before Nov. 15 will pay $500 per month in lot rent, Lieb said. Those renting homes will also owe rent for the lot space, he said. The homes will be limited to 400 square feet and they must remain on their wheels. Seven community garden beds will be built on the western edge of the property to help provide a “backyard” space for residents, he said. Solar-powered lighting and permeable pavement, which prevents runoff, may also be incorporated into the project.